Frustrated with the lack of playing time, it appears the Kai Locksley will try is luck somewhere other than Austin. 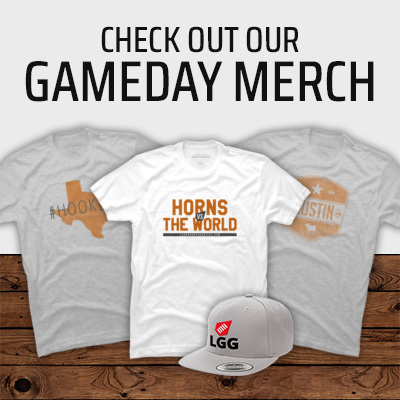 The Longhorns picked up a much-needed win against Iowa State on Saturday. Both the Longhorns and the Cyclones are looking to turn their season around. The Sooners bring bragging rights and the Golden Hat back to Norman. Kirk Herbstreit didn't hold back on his thoughts on Texas and Charlie Strong. Charlie has at least one man in his corner in Austin. Both Big 12 blue bloods enter the Red River Showdown in need of a win. In his weekly presser, Coach Strong said Warren was still being evaluated, but it looks like things are worse than originally thought. The clock is ticking on Charlie Strong in Austin. Coach Charlie Strong will take over "full control" of the Texas defense. The "Smash Brothers" both suffered injuries in the loss to Oklahoma State.